8-year-old Vivienne Harr was mesmerized by a photograph of two young Nepalese boys holding hands while carrying giant granite slabs strapped to their heads. At first, Vivienne didn't understand what the boys were doing, until she asked her parents and learned the boys were child slaves. Her response was: "They should be playing." Vivienne decided to sell lemonade every day in front of her house, come rain or shine, to help free the children. She asked people simply to "pay what's in your heart." She didn't understand the way business works. But sometimes, the more we understand the less we know, because $101,320 later, little Vivienne Harr had contributed to the freedom and new beginnings of 550 slaves. 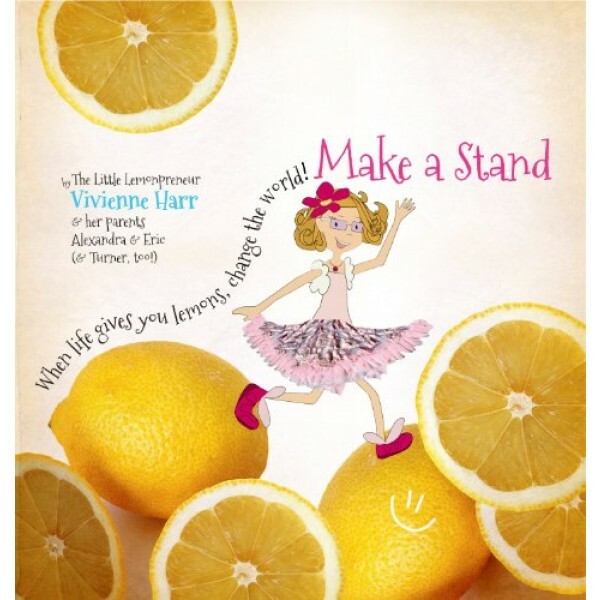 Make a Stand is a beautiful and inspiring book about how big things have small beginnings... Learn how Vivienne turned a moment into a movement, what inspired her, how it all came together, and what you should do next time someone tells you, "No" -- make a stand.